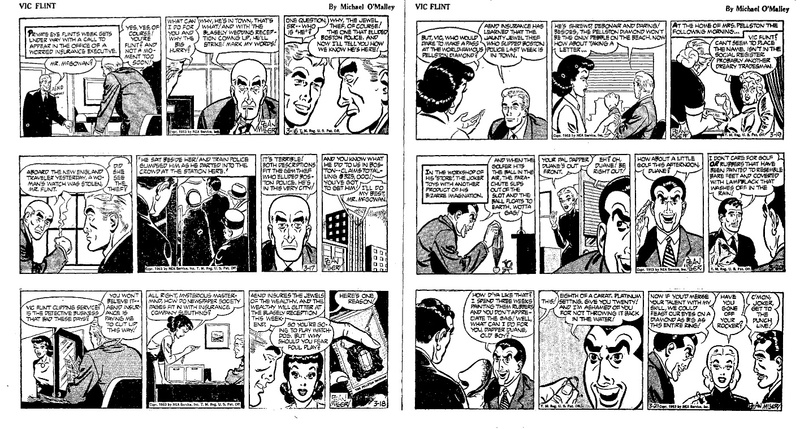 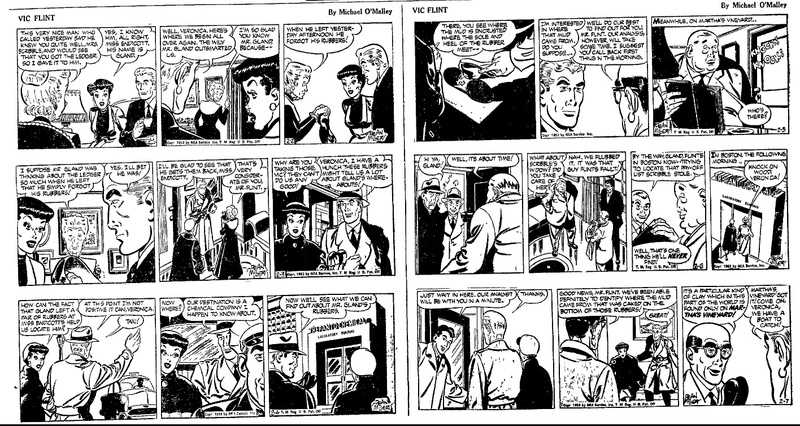 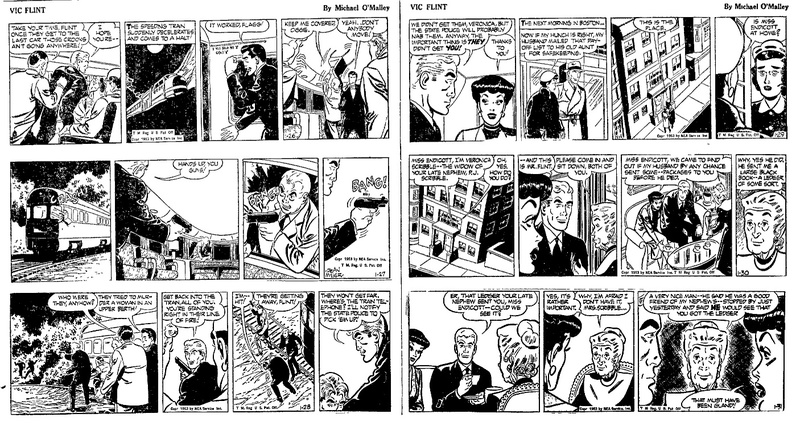 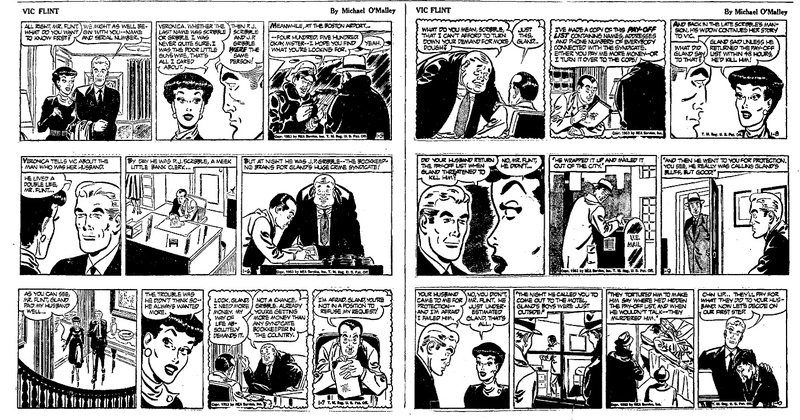 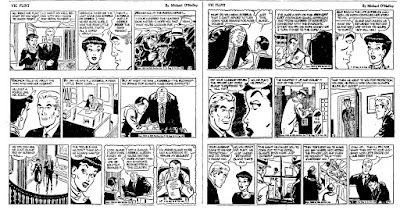 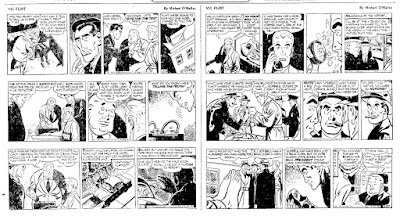 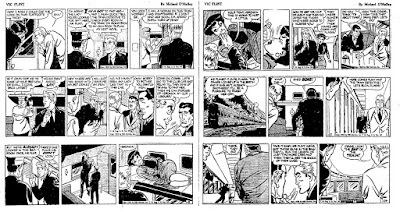 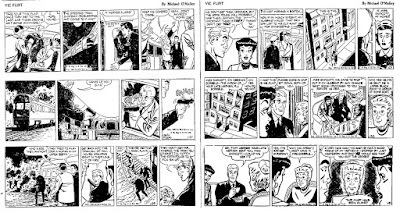 The Fabuleous Fifties: Who's The Vic, Flint? 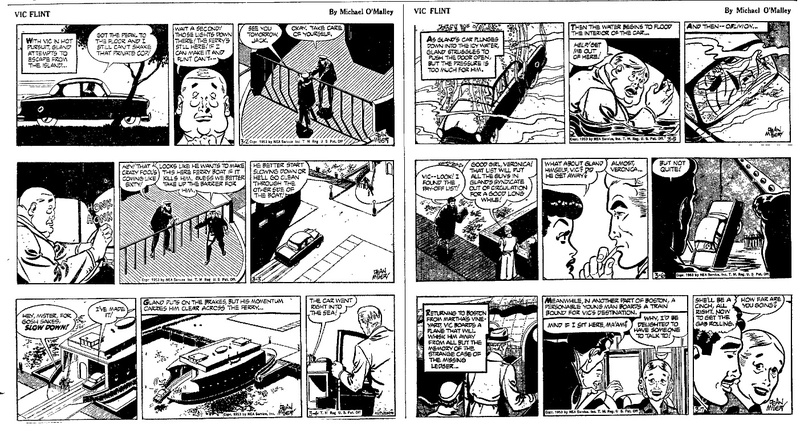 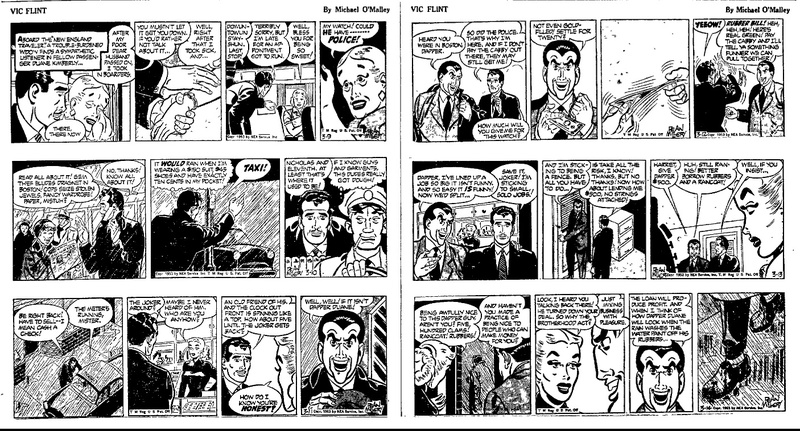 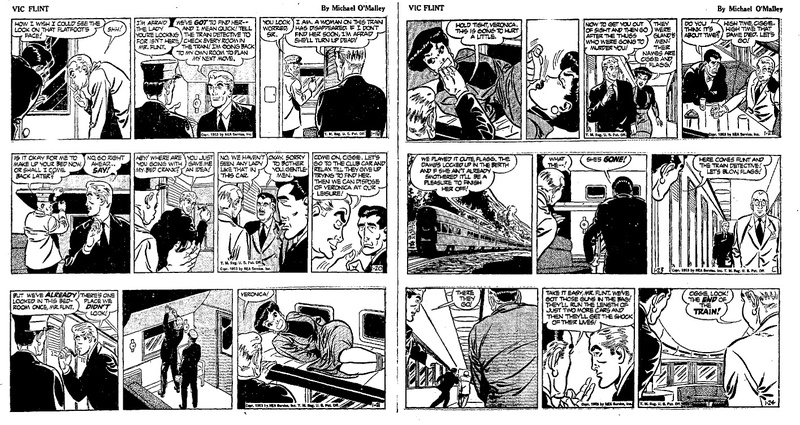 I have come across a lot of Vic Flint material over the years. 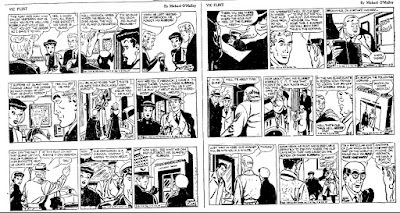 It was the staple of one of the lower ranked syndicates, which was often sold together with a couple of other not really original of exciting features. 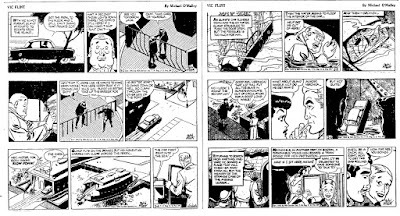 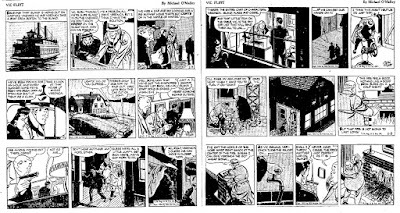 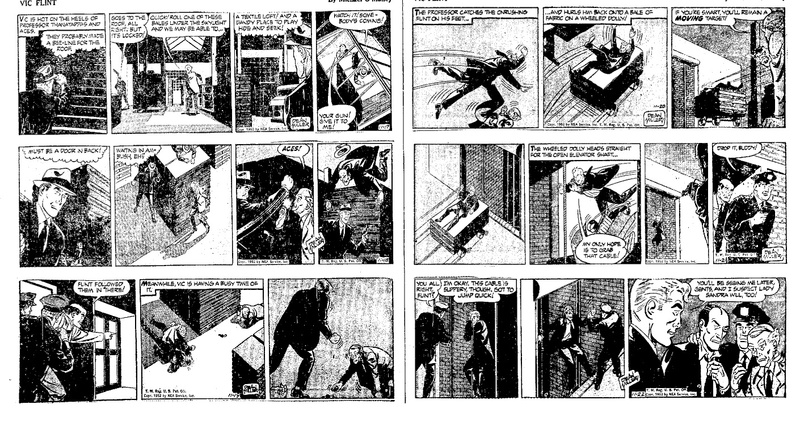 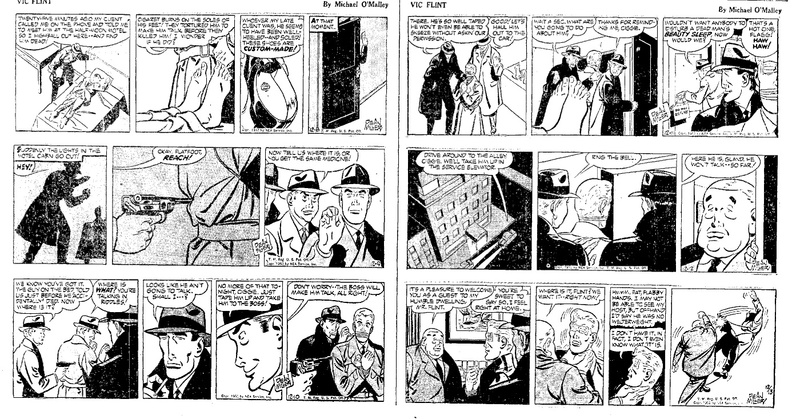 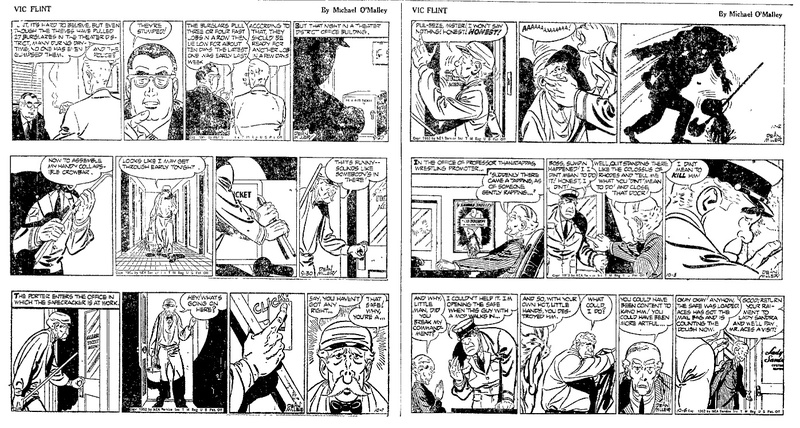 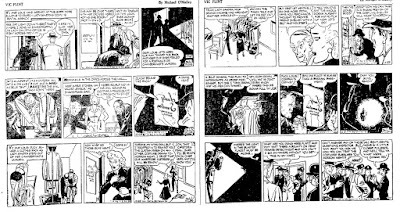 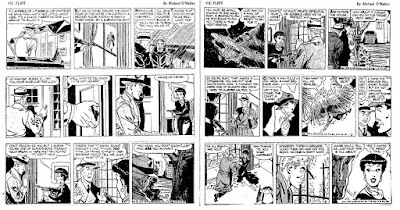 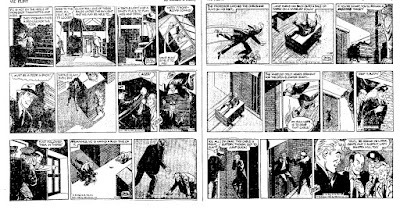 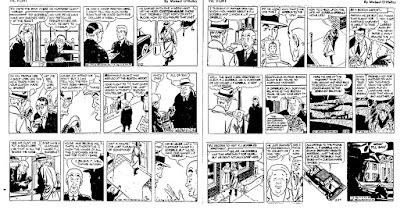 Clipping and scanning these things takes a lot of time and Vic Flint never made the grade for me, especially the dailies, which take even more work. 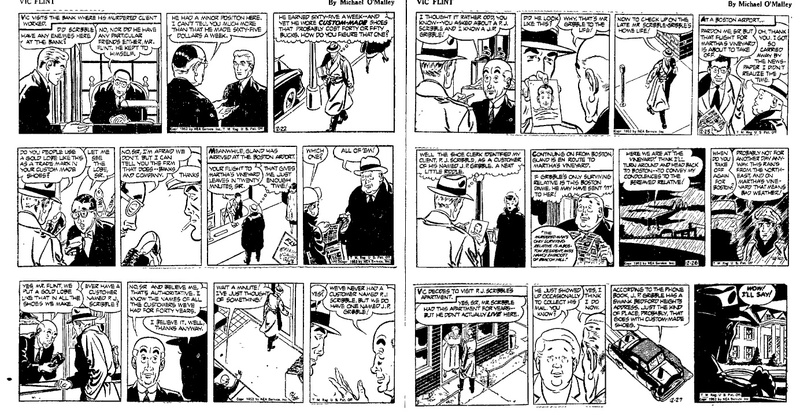 But some time ago I came across a longer run of dailes for a paper that collected every week on half a newspaper page. This allowed me to collected a longer run fairly easy, so at least now you canr read the story. 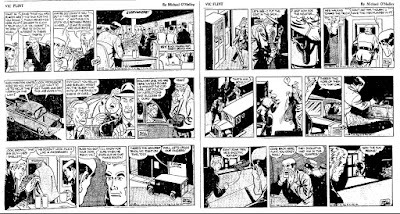 Artisticly, it is not really exciting - sort of like a low rent Kerry Drake, which itself always seemed a low rent detective anyway. 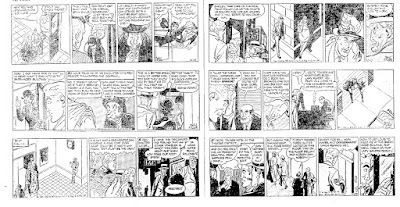 I do have a longer run of the late sixties Sunay for you, which was drawn by a very remarkable artist. 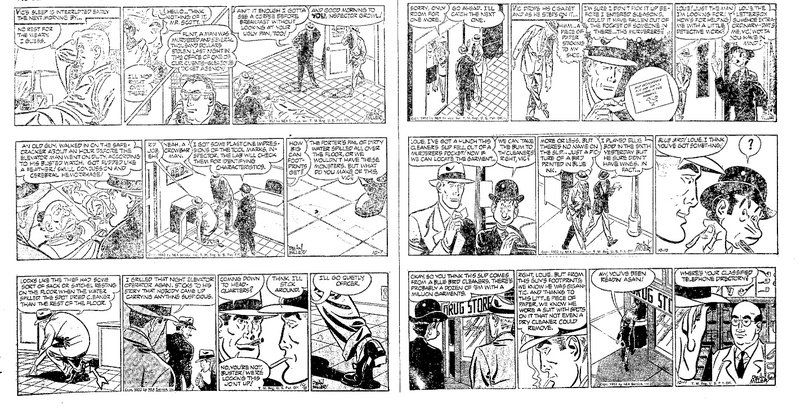 I will share that assoon as I have scanned it. 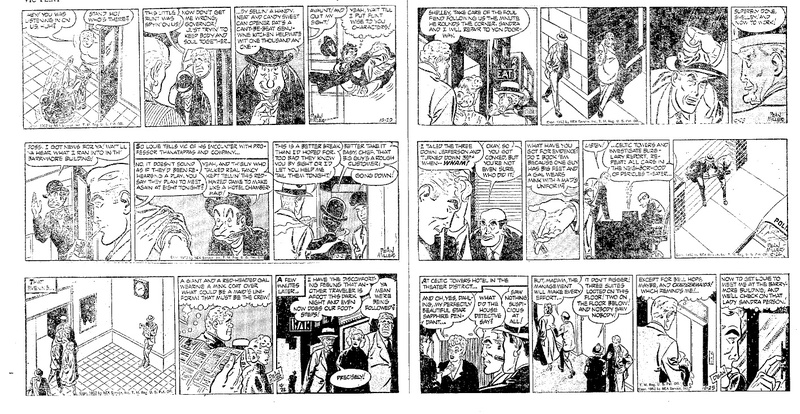 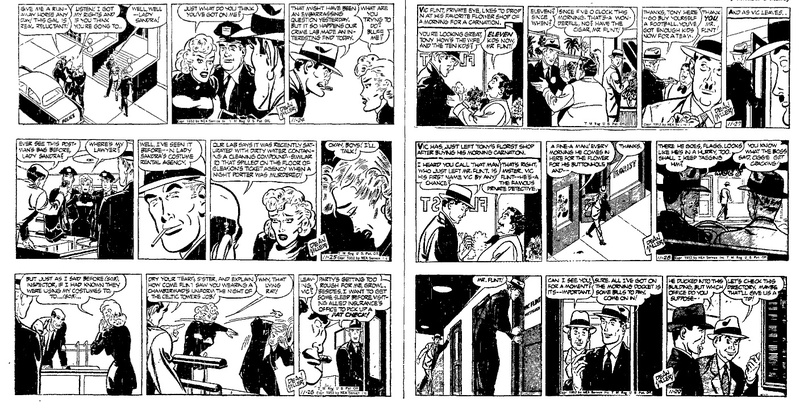 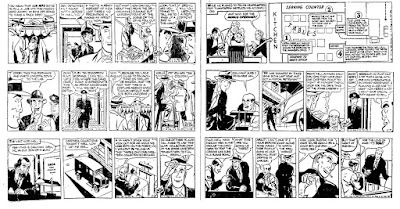 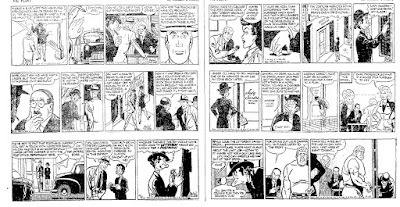 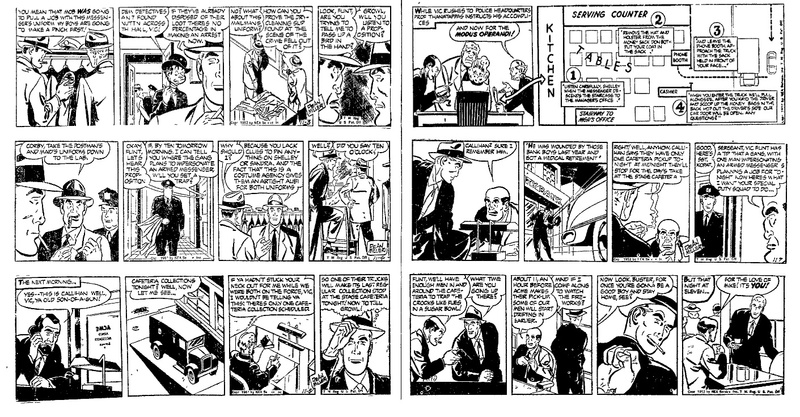 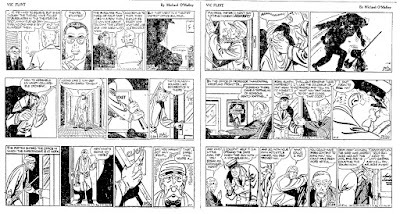 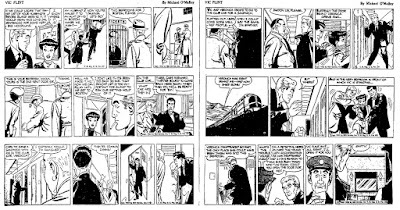 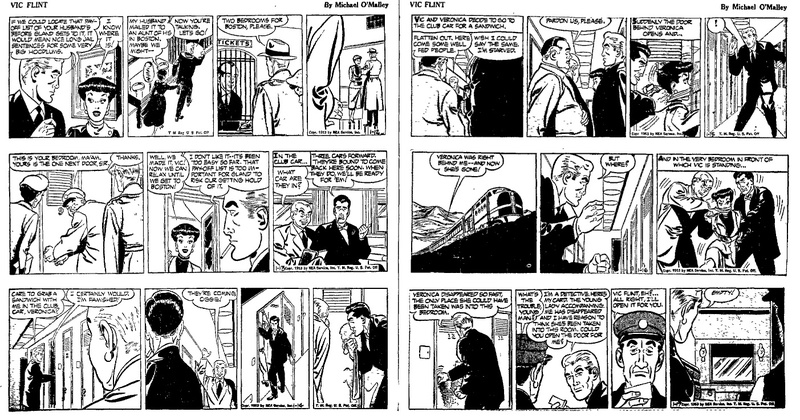 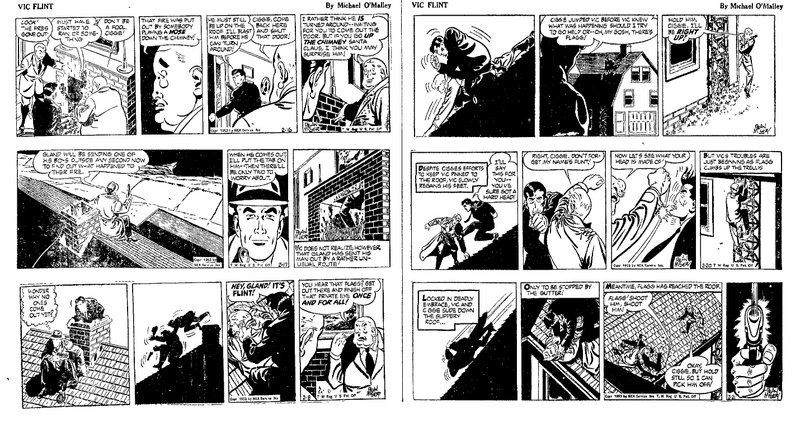 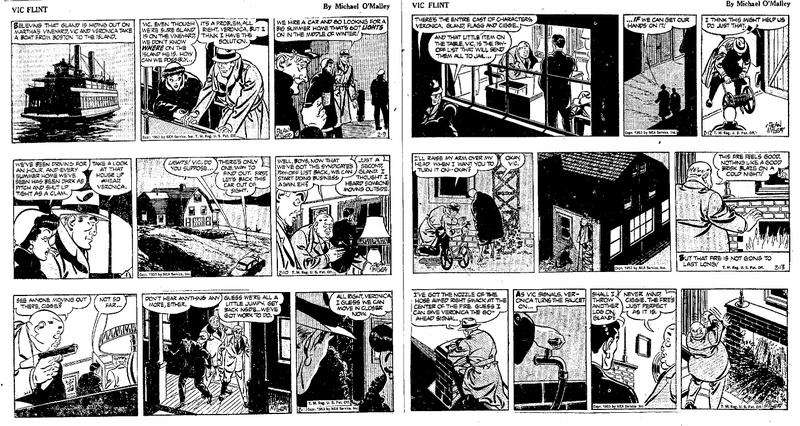 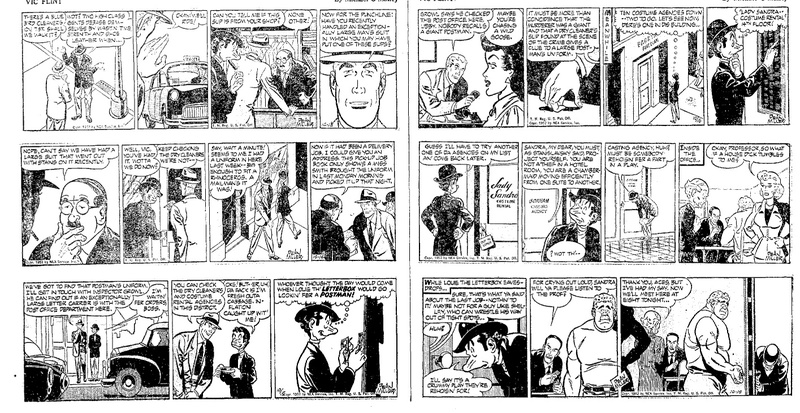 I rather liked this strip in its early days, when Ralph Lane was drawing it. Lane's art had that NEA/Roy Crane flavor. 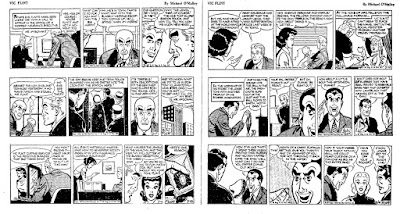 I'm not that fond of Dennis Miller's version. 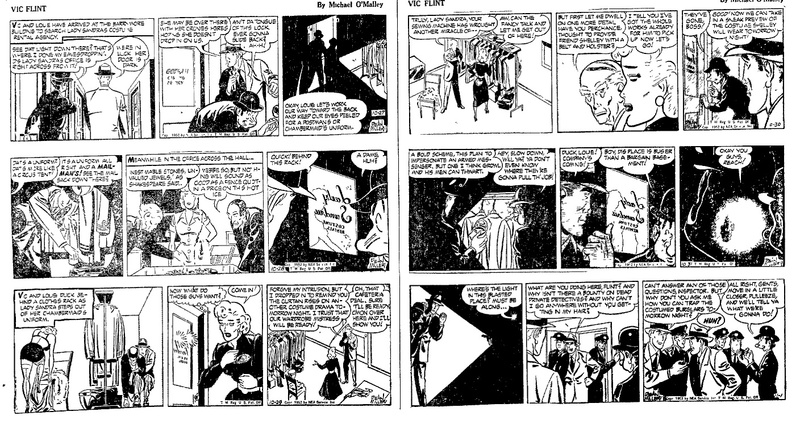 The stories were okay but they never stood out. 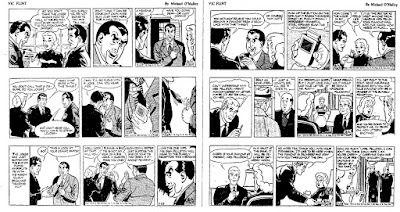 Thanks for digging these up.